The fan discussion surrounding UFC 229’s main event has gathered a lot of momentum since the fight was announced. And now the highly anticipated showdown between Khabib Nurmagomedov and Conor McGregor is less than three weeks away. Billed as a classic striker vs. grappler affair, the Russian is known for his wrestling ability having won most of his fights by decision or submission. On the other hand, McGregor is returning from a brief foray into the world of boxing after his lucrative fight with Floyd Mayweather. While Conor may be a renowned striker, the clip below will strike fear into the hearts of Nurmagomedov fans. 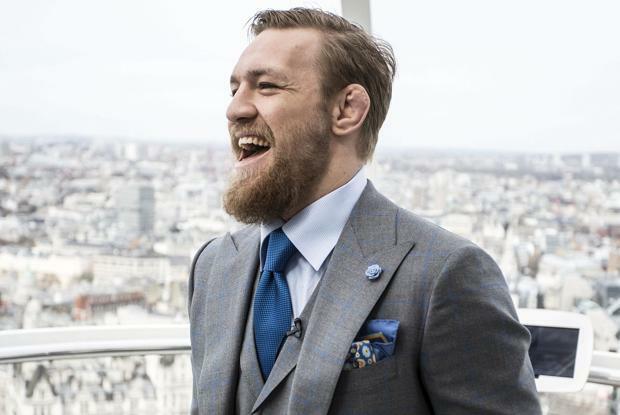 We have seen that McGregor has been working hard on wrestling and grappling, prompting Chechnyan jiu-jitsu black belt Ayub Magomedov to tell the world that Conor is pretty handy when it comes to the wrestling side of MMA. However, the clip shows just how poor the Interim Lightweight champion’s strike rate is. During his last win over Al Iaquinta, a staggering 14 takedown attempts were thwarted. When they are all put back to back into a single video, the evidence is pretty damning, indicating that he will have to work pretty hard to take Conor down. This is not to take away from Iaquinta who showed once again that he is one of the best defenders in the business as well. The fact that Khabib was even able to make all these attempts is a testament to his positioning and skill. The Russian also has some of the better evasive skills, keeping his distance in fights and not relying on striking. If McGregor gets too close Khabib will go for him, which can have devastating effects.Check out the 14 takedown failures on the player below. But also remember if just one of these sticks, it could be dire for the Irishman!